How does a person become a Christian? There are three points—two things we must believe and one thing we must do. They are as simple as ABC. A stands for “admit.” We must admit that we are sinners and that we are therefore under God’s judgment. B stands for “believe.” We must believe that God loves us in spite of our sin and that he has acted in Jesus Christ to remove sin and restore us to himself. C stands for “commit.” This is an act of faith by which we give up trying to run our own life and instead place ourselves in the hands of the Lord Jesus Christ, who died for us and rose again. First, God demands that we admit without reservation that we are sinners and that we should therefore be separated from his presence forever. We are in rebellion against him, either consciously or unconsciously, and we deserve not grace but judgment. Sin is an everyday experience and the number one problem of mankind. What is more, they recognize that the Bible everywhere insists upon this. “The Scripture declares that the whole world is a prisoner of sin,” wrote Paul in the book of Galatians (Gal. 3:22). In 1 Kings, chapter 8, King Solomon declared, “There is no one who does not sin” (v. 46). Isaiah observed, “We all, like sheep, have gone astray, each of us has turned to his own way” (Isa. 53:6). In the first letter of the apostle John, we are admonished, “If we claim we have not sinned, we make him out to be a liar and his word has no place in our lives” (I John 1:10). This is also the burden of the first chapters of Paul’s letter to the Romans, where we find the doctrine of the universality of man’s sin stated in its most comprehensive form. According to the first three chapters of Romans there are three types of people. The first type is what we would call hedonists, those whose basis for life is materialism. Paul discusses them in Romans 1:18-32. Hedonists have determined to live for their own enjoyment and for whatever pleasures they can find. “Why is this man a sinner?” Paul asks. “He is a sinner because he is on a path that is leading him away from God and therefore away from any real beauty, truth or inner satisfaction.” As Paul describes it, this path is marked by empty imaginings, darkened intellects, a profession of wisdom by one who is actually foolish and, finally, a perversion of the worship of God which leads to a final debasement (vv. 21-23). The second type of person, the type discussed in Romans 2:1-16, is what we would call a moral man. In Paul’s day, this was the Greek philosopher or professor of ethics. In our day, it would be anyone who has high ethical standards but who does not believe in the Lord Jesus Christ as his Savior. Why does God consider this person a sinner? The answer has two parts. First, he is a sinner because he has come short of God’s standard of righteousness. God’s standard is perfection. It is the standard of the life of the Lord Jesus Christ, the only perfect man who ever lived. All fall short of it. Second, he is a sinner because he falls short of his own standards no matter how high or low they may be. What is your standard of morality? You may say, “My standard is the Sermon on the Mount. Isn’t that a good standard?” Yes, that is a good standard; but the question is: Do you live up to it? 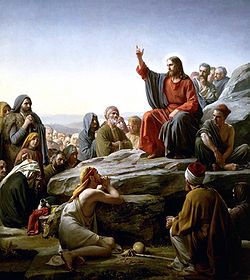 In the Sermon on the Mount Jesus said, “Be perfect, therefore, as your heavenly Father is perfect” (Matt. 5:48). Are you perfect? Of course not! In that case, you are condemned by the standard of your own choosing. You may not like that conclusion, or course. So you may say, “Well, I’ll just lower my standard and make it the Golden Rule—‘In everything, do to others what you would have them do to you.’” Do you keep that standard? Do you always do to other people all that you would like done by them to yourself? Once again, the answer is no! The point is that all of us are condemned by whatever standard we erect, for none of us is able to live up to even the lowest standards of morality. We are all sinners, and deep within we know it. “Good for you,” Paul answers. “But you are still a sinner, because God’s requirement of perfection includes a change of the heart, and none of the outward things of religion—church membership, the sacraments, service or stewardship—can do anything about this most basic problem.” At the end of this section of Romans Paul sums his teaching up by saying, “There is no one righteous, not even one; there is no one who understands, no one who seeks God. All have turned away, they have together become worthless; there is not one who does good, not even one” (Rom 3:10-12). The second point to becoming a Christian is to believe that God loves you in spite of your sin and that he has acted in Jesus Christ to remove that sin and to begin to make you perfect once more by conforming you to Christ’s image. In the Bible, there are three great terms for what God does in salvation. The first is propitiation, a word that occurs in Romans 3:23-26, Hebrews 2:17, 1 John 2:2 and 4:10 (the NIV translates this as “sacrifice of atonement”). Propitiation is the act of performing a sacrifice by which the wrath of God against sin is averted. It refers to what Jesus accomplished in relation to God by his death. Propitiation presupposes the wrath of God. Right here many modern thinkers would stop, arguing that the term should not be used. “We can understand,” such a person might say, “how the idea of propitiation would be appropriate in paganism where God was assumed to be capricious, easily offended and therefore often angry. But this is not the biblical picture of God. According to the Christian revelation, God is not angry. Rather, he is gracious and loving. Moreover, it is not God who is separated from us because of sin, but rather we who are separated from God.” Those who have argued this way have either rejected the idea of propitiation entirely, considering its presence in the Bible to be merely a carry-over from paganism, or they have interpreted the basic Greek word for propitiation to mean, not Christ’s propitiation of the wrath of God, but rather the covering over or expiation of our guilt by his sacrifice. We must be appreciative of those who have distinguished the pagan idea of propitiation from the Christian idea. For it is quite true that God is not capricious. We do not propitiate him in order to keep in his good graces, for God is a God of grace and love. Still, this is not the whole of the matter. In the first place, we do not want to forget what the Bible tells us about God’s just wrath against sin in accordance with which sin will be punished either in Christ or in the person of the sinner. We may feel that the wrath of God and the love of God are incompatible. But this is not the biblical perspective. Rather, the Bible teaches that God is wrath and love at the same time. What is more, the wrath is not just a small and insignificant element that somehow is there alongside the far more significant and overwhelming love of God. Actually, it is a major element that may be traced all the way from God’s judgment against sin in the Garden of Eden to the final cataclysmic judgments prophesied in the Book of Revelation. Second, although the word “propitiation” is used in biblical writings, it is not used in precisely the same way it is used in pagan writings. In pagan rituals, sacrifice was the means by which man placated an offended deity. But in Christianity, it is never the man who takes the initiative or makes the sacrifice, but God himself who out of his great love for the sinner provides the way by which his own wrath against sin may be averted. Moreover, he is himself the way—in Jesus. This is the true explanation of why God is never the explicit object of the propitiation in the biblical writings. He is not the object because he is, even more importantly, the subject. In other words, God himself placates his wrath against sin so that his love may go out to embrace and fully save the sinner. The second great term for God’s work of salvation is redemption. Redemption speaks of what Jesus Christ did for us in salvation and of what it cost him to do it. It also occurs in Romans 3:23-26, and in many other places. The Greek word translated as “redeem,” “Redeemer” or “redemption” in our Bibles has to do with loosing someone’s bonds so that, for example, a prisoner becomes free. At times it was used of procuring the release of a prisoner by means of a ransom. Spiritually, the idea is that, though we have fallen into desperate slavery through sin and are held as by a cruel tyrant, Christ has nevertheless purchased our freedom from sin by his own blood. He paid the price to free us. We have what is perhaps the greatest biblical illustration of redemption in the story of Hosea. Hosea was a minor prophet whose marriage was unfortunate from a human viewpoint, for the woman proved unfaithful to him. But it was a special marriage from the viewpoint of God. God had told Hosea that the marriage would work out in this fashion. Nevertheless, he was to go through with it in order to provide an illustration of how God loves his people, even when they prove unfaithful by committing spiritual adultery with the world and its gods. The marriage was to be a pageant in which Hosea was to play the part of God and his wife would play the part of unfaithful Israel. The climax comes at the point at which Gomer fell into slavery, probably because of debt. Hosea was told to buy her back as a demonstration of the way by which the faithful God loves and saves his people. Slaves were always sold naked in the ancient world, and this would have been true of Gomer as she was put up on the auction block in the city of Samaria. She apparently was a beautiful woman. So when the bidding started the offers were high, as the men of the city bid for the body of the female slave. The bidding was competitive. But as the low bidders dropped out, someone added, “Fifteen pieces of silver and a bushel of barley.” “Fifteen pieces of silver and a bushel and a half of barley,” said Hosea. The auctioneer must have looked around for a higher bid and seeing none, would have said, “Sold to Hosea for fifteen pieces of silver and a bushel and a half of barley.” Now Hosea owned his wife. He could have killed her if he had wished. He could have made a public spectacle of her in any way he might have chosen. But instead, he put her clothes back on her, led her away into the anonymity of the crowd, and demanded love of her while promising the same from himself. Here is the way he tells it. “The LORD said to me, ‘Go, show your love to your wife again, though she is loved by another and is an adulteress. Love her as the LORD loves the Israelites, though they turn to other gods and love the sacred raisin-cakes.’ So I bought her for fifteen shekels of silver and about a homer and a lethech of barley” (a “shekel” was about 2/5 ounce or 11 grams; a “homer” was about 6 bushels or 220 liters; a “lethech” was about 3 bushels or 110 liters). Then I told her, ‘You are to live with me many days; you must not be a prostitute or be intimate with any man, and I will live with you’” (Hos. 3:1-3). Hosea had the right to demand what she had formerly been unwilling to give. But as he demands it he promises love from himself. For it is thus that God loves all who are his true spiritual children. We are not right with him in ourselves; this is what the doctrine of sin means. Sin means that we are in rebellion against God, and if we are against God we cannot be right with God. We are all transgressors. The doctrine of justification by faith is the most important of all Christian doctrines because it tells how one who is in rebellion against God may become right with him. It says that we may be justified by the work of Christ alone received by faith, and not by our own works-righteousness. Paul puts it like this: “All who believe . . . are justified freely by his [that is, God’s] grace through the redemption that came by Christ Jesus” (Rom. 3:22-24); “A man is justified by faith apart from observing the law” (v. 28); “To the man who does not work but trusts God who justifies the wicked, his faith is credited as righteousness” (Rom. 4:5). These verses teach that justification is God’s work and that it flows from God’s grace. The Christian doctrine of justification is, therefore, actually God’s declaring the believing individual to be righteous, not on the basis of his own works or irrespective of works, but on the basis of Christ’s sacrifice. In justification, God declares that he has accepted the sacrifice of Christ as the payment of our debt to the divine justice and his imputed Christ’s righteousness to us in place of the sin. What Paul is saying is that in the days before he met Christ, he had something like a balance sheet in his life. It had assets and liabilities, and he thought that being saved consisted in having more in the column of assets than in the column of liabilities. Moreover, he thought there were considerable assets, some inherited and some earned. Among the inherited assets was the fact that Paul had been born into a Jewish family and had been circumcised according to Jewish law on the eighth day of life. He was a pure-blooded Jew, born of Jewish parents (“a Hebrew of Hebrews”). He was also an Israelite, that is, a member of God’s covenant people. Moreover, he was of the loyal tribe of Benjamin. Then, too, Paul had advantages that he had won for himself. In regard to the law, he was a Pharisee, the most faithful of all Jewish sects in adherence to the law. Moreover, he had been a zealous Pharisee, which he had proved by his persecution of the infant church. It is the glory of the Christian gospel that when a person who has been made alive by God turns from his own works, which can only condemn him, and instead by faith embraces the Lord Jesus Christ as his Savior, God declares his sins to have been punished at Calvary and imputes the righteousness of Christ to his account. Finally, there must be an act by which you actually commit yourself to Christ. Or, to put it another way, you open the gate of your heart and admit him. This does not mean that you are responsible for your own salvation. If you do open the door, it is only because Christ is there beforehand moving you to do it. Still, from your own point of view, the act itself is absolutely indispensable. What matters is the reality of your own personal commitment to Jesus. Are you a Christian? That is the question. Is it real? The answer to that question does not depend upon your good works but rather upon your relationship to the Savior. Have you asked Jesus Christ to be your Savior? If you will pray that prayer, God will wash you, and he will give you that righteousness which is above anything you can personally attain. Author: James Montgomery Boice, Th.D., (July 7, 1938 – June 15, 2000) was a Reformed theologian, Bible teacher, and pastor of Tenth Presbyterian Church in Philadelphia from 1968 until his death. He is heard on The Bible Study Hour radio broadcast and was a well known author and speaker in evangelical and Reformed circles. He also served as Chairman of the International Council on Biblical Inerrancy for over ten years and was a founding member of the Alliance of Confessing Evangelicals. He is the author of numerous Bible expositions and one of my favorite Systematic Theologies called Foundations of the Christian Faith. 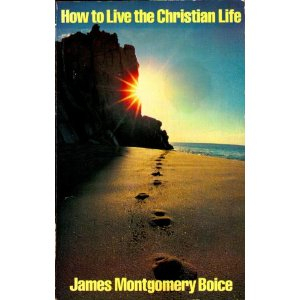 The article above “How To Become a Christian?” was adapted from Chapter One in the book How to Live the Christian Life, Chicago: Moody Press, 1982. Tags: How can I become a Christian?, How Do I become a Christian?, How to be saved, How to become a Christian, James Boice, James Montgomery Boice, The A B C's of Salvation, The ABC's of salvation, What are the ABC's of salvation?, What is the gospel?, What is the message of Christianity? In any discussion of reformation in doctrine one must come to the realization that the real problem of our time is that there is hardly any doctrine at all to reform. So when we talk about reformation we must focus on a recovery of theology, period. Certainly in the liberal churches there is a lack of exposition of Scripture and sound doctrine, and unfortunately, this is rapidly becoming the case in evangelical circles as well. Now you might ask which doctrines are missing? I argue that primarily what we need is a recovery of the doctrine of God. You have to have some kind of starting point and that’s the point where I think we should begin. People have lost any real sense of the fact that when we come to church we come to worship and learn about God. Years ago I spoke at a conference and my topic was on a number of the attributes of God. Later I got some feedback from a gentleman who was listening to my presentation. He had been in the church for thirty years, and in fact was now an elder, and that was the first time that he ever heard a series of messages on the attributes of God. And after hearing this his friend asked him, ‘Well, whom did you think you were worshiping all that time?’ But he hadn’t really thought about those things and I’m convinced that we have literally thousands of people in our churches today who really seldom, if ever, think about who it is they are worshiping, if they think about God at all. Now, I think there are some reasons for this. One reason is the terrible impact of television on our culture which has produced a virtually mindless age. Television is not a medium which shares information well, it is primarily an entertainment medium. It puts pictures on the screen onto which people project their own aspirations and desires, and because it works so powerfully and is so pervasive it has the tendency to transform anything it touches into entertainment, and it does it very quickly. One of the most significant books I’ve read in the last few years in terms of what is actually happening to the mind is Neil Postman’s, Amusing Ourselves to Death: Public Discourse in the Age of Show-Business. It’s not that entertainment itself is bad. But television is most damaging when it tries to be serious. So when you put news on TV, you get brief little sound bites encased in slick images, and this is not really information, it is entertainment. All of this would be irrelevant if it were not for the fact that all this has a significant impact on our churches. So just as God is absent from televised religion, there is tremendous pressure to push him out of our church services in favor of a more upbeat entertainment-oriented Sunday morning visit. We do all kinds of things to fill in that vacuum, but as Augustine said, “we are made for God and our hearts are restless until they rest in him.” In my judgment, we have a hollow core at the heart of evangelicalism, and that is the cause of all the restlessness. If we want to recover the doctrine of God we have to recover the attributes of God, and one attribute that is sorely missing in our time is the attribute of God’s sovereignty. What happens in the Christian world if you don’t give attention to the sovereign God? Human sovereignty comes in to take the true God’s place. Idols always replace the true if the true is not kept there. So you have human beings becoming sovereign in their own estimation in a variety of ways. Theologically: we are the ones who elect God rather than God electing us. Programmatically: we are the ones who determine what should be done in our worship rather than following the statements of Scripture. In this sort of business God gets relegated to the sidelines, we really don’t need him. But really, when you think about it, this is secularism. I think the best illustration of this in the Bible is the story of Nebuchadnezzar when he stood on the roof of his palace in Babylon and he looked over that magnificent city with its famous hanging gardens and he said, ‘Is not this the great Babylon I have built as the royal residence, by my mighty power and for the glory of my majesty?’ That is probably the best statement in all of literature of what we call secular humanism, because he is claiming that the world he observed was of him, by him and for his own glory. But the sad thing is that it is not just secular humanism, but is becoming ‘evangelical’ humanism as well. If we’re the ones who conceive of what should be done and we’re the ones who accomplish it by our skills, whatever they may be, often without prayer (because we are not a prayerful people), then I guess the glory should go to ourselves. So we find ourselves right back where Nebuchadnezzar was, right around the time God judged him with insanity. And as I look at the evangelical world I’d say a lot of it is insane. In addition, Nebuchadnezzar was driven out to live with the animals to behave in a bestial way. And when I read the polls that tell me that evangelicals behave virtually no different from their secular counter-parts, and I recognize the bestial manner that the world around us is behaving, I think that maybe the judgment of Nebuchadnezzar has come home to us as well. God is not only able to humble them. He does humble them, and perhaps that ought to be a good starting point for renewal in our churches. We evangelicals need it especially. If there is any doctrine that rivals God’s sovereignty in importance it is the holiness of God. But do we have any sense or appreciation of the holiness of God in our churches today? David Wells writes that God’s holiness weighs ‘lightly upon us.’ Why? Holiness involves God’s transcendence. 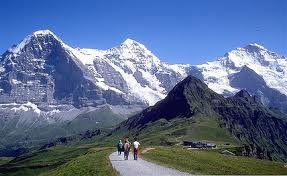 It involves majesty, the authority of sovereign power, stateliness or grandeur. It embraces the idea of God’s sovereign majestic will, a will that is set upon proclaiming himself to be who he truly is: God alone, who will not allow his glory to be diminished by another. Yet we live in an age when everything is exposed, where there are no mysteries and no surprises, where even the most intimate personal secrets of our lives are blurted out over television to entertain the masses. We are contributing to this frivolity when we treat God as our celestial buddy who indulges us in the banalities of our day-to-day lives. Perhaps the greatest problem of all in regard to our neglect of God’s holiness is that holiness is a standard against which human sin is exposed, which is why in Scripture exposure to God always produces feelings of shame, guilt, embarrassment and terror in the worshiper. These are all painful emotions, and we are doing everything possible in our culture to avoid them. One evidence of this is the way we have eliminated sin as a serious category for describing human actions. Karl Menninger asked the question years ago with his classic book, Whatever Became of Sin? He answered his own question by arguing that when we banished God from our cultural landscape we changed sin into crime (because it is now no longer an offense against God but rather an offense against the state) and then we changed crimes into symptoms. Sin is now something that is someone else’s fault. It is caused by my environment, my parents or my genes. David Wells claims that ‘holiness fundamentally defines the character of God.’ But ‘robbed of such a God, worship loses its awe, the truth of his Word loses its ability to compel, obedience loses its virtue, and the church loses its moral authority.’ It is time for the evangelical churches to recover the Bible’s insistence that God is holy above all things and explore what that must mean for our individual and corporate lives. To begin with we need to preach from those great passages of the Bible in which people were exposed to God’s awe-inspiring majesty and holiness. If nothing else, we need to preach the Law without which preaching the Gospel loses its power and eventually even its meaning. John R. W. Stott has written a book on some essentials of evangelical religion in which he affirms “that true worship is the highest and noblest activity of which man, by the grace of God, is capable.” But that highlights our weakness, namely, that for large segments of the evangelical church, perhaps the majority, true worship is almost non-existent. It is not unusual to read in books dealing with worship that worship is hard to define, but I do not find that actually to be the case. I think it is very easy to define. The problems-and there are many of them-are in different areas. To worship God is to ascribe to Him supreme worth, for He alone is supremely worthy. Therefore, the first thing to be said about worship is that it is to honor God. Worship also has bearing on the worshiper. It changes him or her, which is the second important thing to be said about it. In defining worship, William Temple also gives us a good description of the true godliness throughout the Christian life. John H. Armstrong is editor of a journal called Reformation and Revival, and he devoted the 1993 winter issue to worship. In the introduction Armstrong calls what passes for the worship of God today ‘Mc-Worship,’ meaning that worship has been made common, cheap or trivial. What is the problem? Why is so little of that strong worship that characterized past ages seen among us? There are several reasons. First, ours is a trivial age, and the church has been deeply affected by this pervasive triviality. Ours is not an age for great thoughts or even great actions. Our age has no heroes. It is a technological age, and the ultimate objective of our popular technological culture is entertainment. I argue that the chief cause of today’s mindlessness is television, as I discussed earlier. Because it is so pervasive-the average American household has the television on more than seven hours a day-it is programming us to think that the chief end of man is to be entertained. How can people whose minds are filled with the brainless babble of the evening sitcoms have anything but trivial thoughts when they come to God’s house on Sundays morning if, in fact, they have thoughts of God at all? How can they appreciate his holiness if their heads are full of the moral muck of the afternoon talk shows? All they can look for in church, if they look for anything, is something to make them feel good for a short while before they go back to the television culture. Second, ours is a self-absorbed, man-centered age, and the church has become sadly, even treasonously, self-centered. We have seen something like a Copernican revolution. In the past true worship may not have taken place all the time or even often. It may have been crowded out by the ‘program,’ as Tozer maintained it was in his day. But worship was at least understood to be the praise of God and to be something worth aiming at. Today we do not even aim at it, at least not much or in many places. From this perspective preaching becomes a homiletics of consensus-preaching to felt needs-man’s conscious agenda instead of God’s. Such preaching is always topical and never textual. Biblical information is minimized, and the sermons are short and full of stories. Anything and everything that is suspected of making the marginal attender uncomfortable is removed from the service, whether it be a registration card or a ‘mere’ creed. Taken to the nth degree, this philosophy instills a tragic self-centeredness. That is, everything is judged by how it affects man. This terribly corrupts one’s theology. As I have been arguing all along, we are oblivious to God. In recent years, as I have traveled around the country speaking in various churches, I have noticed the decreasing presence and in some cases the total absence of service elements that have always been associated with the worship of God. These desperately need to be recovered. It is almost inconceivable to me that something that is called a worship service can be held without any significant prayer, but that is precisely what is happening. I mean really, what do you go to a church service for if it is not to pray? And yet, you can go to evangelical services filled with thousands of people and hear virtually no prayers at all. There is usually a very short prayer at the beginning of the service and another prayer at the time the offering is received. But longer prayers-pastoral prayers-have all but vanished. Whatever happened to the ACTS acrostic in which ‘A’ stands for adoration, ‘C’ for confession of sin, ‘T’ for thanksgiving, and ‘S’ for supplication? Now and then a few supplications are tacked onto the offering prayer, but most all other prayers have been thrown out. How can we say we are worshipping when we do not even pray? The reading of any substantial portion of the Bible is also vanishing. In the Puritan age ministers regularly read one long chapter of the Old Testament and one chapter of the New Testament in every service. In some services I’ve attended there are no Scripture readings at all, other times it is a reading of only one or two verses. Sometimes it just precedes the sermon and very often it is only a pretext because the sermon has nothing whatsoever to do with the passage. I’m not talking about liberal churches, mind you. I’m talking about the lack of Scripture readings in our evangelical churches. We must again recover the apostle’s command to ‘devote [ourselves] to the public reading of Scripture’ (1Tim. 4:13). In this television age of ours, preachers are expected to be charming and entertaining. And so your sermons have to be shortened because people have short attention spans, they are funny if they can be, and you have to eliminate any theological material that would cause people to think, and you most certainly do not bring up negative theological material like sin because that makes people feel uncomfortable. Preachers want to be liked, and in order to be liked today you have to be entertaining. I am reminded of Jesus’ harsh words to the Pharisees about wanting to be popular, seeing the smiles from the folks in the market place. As our Lord said, ‘They have their reward.’ But for pastors who are looking for more than smiles, and parishioners who are looking for more than to have their ears tickled, our Lord gave a very simple explanation of what the exposition of the Word is really all about. ‘You search the Scriptures thinking that in them you have eternal life: yet these are they which testify of me’ (John 5:39). The preaching of God’s Word is about Christ, and him crucified. This central message is food for our souls. But we are settling for junk food. Who confesses sin today-anywhere, not to mention in church as God’s humble, repentant people? It is not happening, because there is so little awareness of both God and sin. Instead of coming to church to admit our transgressions and seek forgiveness, we come to church to be told that we are really all right, we want to be affirmed. One of the saddest features of contemporary worship is that the great hymns of the church are on the way out. They are not gone entirely, but they are going. And in their place have come trite jingles that have more in common with contemporary advertising ditties than the psalms. Now, not all of them are bad and I would even argue that there is a place for some of them, like when you’re having a fun night with the Jr. High. But what place do they have in serious worship? The problem here is not so much the style of the music, though trite words fit best with trite tunes and harmonies. Rather it is with the content of the songs. 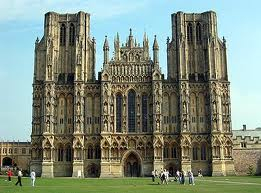 The old hymns expressed the theology of the church in profound and perceptive ways and with winsome memorable language. Today’s songs reflect only our shallow or non-existent theology and do almost nothing to elevate one’s thoughts about God. Worst of all are songs that merely repeat a trite idea, word or phrase over and over again. Songs like this are not worship, though they may give the churchgoer a religious feeling. They are mantras, which belong more in a gathering of New Agers than among the worshipping people of the triune God. The disaster that has overtaken the church in our day in regard to worship is not going to be cured overnight. But we ought to make a beginning, and one way to begin is to study what Jesus said about worship. He had been traveling with his disciples and had stopped at the well of Sychar while the disciples went into the city to buy food. A woman came to draw water and Jesus got into a discussion with her. As the discussion progressed he touched on her loose moral life, revealing his insight into her way of living, and she tried to change the topic by asking him a religious question. ‘Sir,’ she said, ‘I can see that you are a prophet. Our fathers worshipped on this mountain, but you Jews claim that the place where we must worship is in Jerusalem’ (John 4:20). Jesus’ answer is the classic biblical statement of what worship is all about: ‘Believe me, woman, a time is coming when you will worship the Father neither on this mountain nor in Jerusalem. You Samaritans worship what you do not know; we worship what we do know, for salvation is from the Jews. Yet a time is coming and has now come when the true worshipers will worship the Father in spirit and truth, for they are the kind of worshipers the Father seeks. God is spirit, and his worshipers must worship in spirit and in truth’ (vv. 21-24). There are several important things about this. First, there is but one true God, and true worship must be of this true God and none other. This is the point of Jesus saying that the Samaritans did not know whom they were worshipping but that the Jews did, that ‘salvation is from the Jews.’ He meant that the true God is the God who had revealed himself to Israel at Mount Sinai and who established the only acceptable way of worshipping him, which is what much of the Old Testament is about. Other worship is invalid, because it is worship of an imaginary god. We need to think about this carefully because we live in an age in which everyone’s opinion about anything, especially his or her opinion about God, is thought to be as valid as any other. That is patently impossible. If there is a God, which is basic to any discussion about worship, then God is what he is. That is, he is one thing and not another. So the question is not whether any or all opinions are valid but rather what this one true existing God is like. Who is he? What is his name? What kind of a God is he? Christianity teaches that this one true God has made himself known through creation, at Mount Sinai, through the subsequent history of the Jewish people, and in the incarnation, life, death and resurrection of his Son Jesus Christ. In addition, he has given us a definitive revelation of what he is like and what he requires of us in the Bible. So that is the point at which we start. There is one God, and he has revealed himself to us. That is why there can be no true worship of God without a faithful teaching of the Bible. Second, the only way this one true God can be truly worshipped is ‘in spirit and in truth.’ Jesus was indicating a change in worship when he said this. Before this time worship was centered in the temple at Jerusalem. Every Jew had to make his way there three times annually for the festivals. What took place in the local synagogues was more like a Bible school class than a worship service. But this has been changed. Jesus has come. He has fulfilled all that the temple worship symbolized. Therefore, until the end of the age worship is not to be by location, either in Jerusalem or Samaria, but in spirit and according to the truth of God. Worship should not be confused with feelings. It is true that the worship of God will affect us, and one thing it will frequently affect is our emotions. At times tears will fill our eyes as we become aware of God’s great love and grace toward us. Yet it is possible for our eyes to fill with tears and for there still to be no real worship simply because we have not come to a genuine awareness of God and a fuller praise of God’s nature and ways. True worship occurs only when we actually meet with God and find ourselves praising him for his love, wisdom, beauty, truth, holiness, compassion, mercy, grace, power, and all his other attributes. Surveys of contemporary Christian conduct tell us that most Christians do not act significantly different from non-Christian people. This is not surprising since little contemporary preaching teaches anything that might actually make a difference. But we obviously should be different, at least if we take the Bible seriously. Christians are to be the new humanity, a community of those who “love…God, even to the contempt of self’ as opposed to those who ‘love…self, even to the contempt of God” (Augustine). Where should we start? The scope of this subject is analogous to that of the reformation of the church in doctrine with which this article began. I asked what doctrines needed to be recovered, and I answered ‘all the major doctrines of all the creeds.’ Here I ask, what areas of Christian life and conduct need to be recovered, and the answer is: all areas of life both for ourselves as individuals and the church. We need the Ten Commandments, the Sermon on the Mount and the ethical teaching of the epistles. It is all needed. In short, we need to recover what it means to ‘love the Lord your God with all your heart and with all your soul and with all your mind’ and to ‘love your neighbor as yourself’ since ‘all the Law and the Prophets hang on these two commandments’ (Matt. 22:37-40). We need to live out our faith, not to obtain grace, but because we have obtained God’s grace in Christ. This article began with God, and it is appropriate that it end with God, too, for a recovery of the sense of the reality, presence, will and glory of God is what it is about. It is significant that Paul’s conclusion to the great doctrinal section of the book of Romans ends with a doxology. The last words are: “For from him and through him and to him are all things. To him be the glory forever! Amen” (Rom. 11:36). Moreover, after the closing application section of the letter, the entire epistle ends similarly: “To the only wise God be glory forever through Jesus Christ! Amen” (Rom. 16:27). I would argue that the reason the evangelical church is so weak today and why we do not experience renewal, though we talk about our need for it, is that the glory of God has been largely forgotten by the church. We are not likely to see revival again until the truths that exalt and glorify God in salvation are recovered. How can we expect God to move among us until we can again truthfully say, ‘To God alone be the glory’? The world cannot say this. It is concerned for its own glory instead. Like Nebuchadnezzar, it says, ‘Look at this great Babylon I have built by my power and for my glory.’ Arminians cannot say it. They can say, ‘to God be glory,’ but they cannot say, ‘to God alone be glory,’ since Arminian theology takes some of the glory of God in salvation and gives it to man. Even those in the Reformed camp cannot say it if what they are chiefly trying to do in their ministries is build their own kingdoms and become important people on the religious scene. We will never experience renewal in doctrine, worship and life until we are honestly able to say, ‘to God alone be glory’ in all that we do. To those who do not know God that is perhaps the most foolish of all statements. But to those who do know God, to those who are being saved, it is not only a right statement, it is a happy, true, inescapable, necessary and highly desirable confession. Author: *James Montgomery Boice, Th.D., (July 7, 1938 – June 15, 2000) was a Reformed theologian, Bible teacher, and pastor of Tenth Presbyterian Church in Philadelphia from 1968 until his death. He is heard on The Bible Study Hour radio broadcast and was a well known author and speaker in evangelical and Reformed circles. He also served as Chairman of the International Council on Biblical Inerrancy for over ten years and was a founding member of the Alliance of Confessing Evangelicals. He is the author of numerous Bible expositions and one of my favorite Systematic Theologies called Foundations of the Christian Faith. Tags: A Strong Call To Reformation in Our Churches By Dr. James Boice, ACTS acrostic, Confession of Sin, Hymns, James Boice, James Montgomery Boice, Reformation in Life, Reformation in The Church, Reformation in Worship, The Exposition of the Word, The Holiness of God, The Reading of the Word, The Sovereignty of God, To God Alone Be Glor, Whatever Happened to Prayer? I am a teaching pastor who was deeply grieved by the earth’s loss (Heaven’s gain) of *Dr. James Montgomery Boice just over a decade ago to cancer. He was a gifted theologian who happened to pastor a large church in Philadelphia where he faithfully preached the Bible expositionally for over thirty years. I have read all of his published books – most of which are sermons – and what’s great about this book is that it compiles the best of most of his published works and some unpublished works that the editor was able to find at the Princeton Theological Library. Organized from January to December and from Genesis to Revelation this daily devotional is like getting the best of Boice from the Scriptures every day – sort of like a mini sermon – but packed with solid theology, exegesis, and life application. 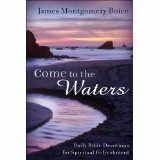 For Boice fans this book is a “must have” and hopefully for those of you who have never been exposed to Boice – you will not only “come to the waters” in this book – but go deeper into the waters of the plethora of Boice’s books and be blessed in your pursuit of the knowledge of and reflection of our Lord Jesus Christ. Thanks and Kudos to the editor for giving us more Boice, so we can get more of Jesus in our lives! *Dr. James Montgomery Boice, just 8 weeks after being diagnosed with a fatal liver cancer, died in his sleep on June 15, 2000. The senior pastor of Tenth Presbyterian Church in Philadelphia, he was a world-famous Bible teacher, author, and statesman for Reformed theology. He informed his congregation of 32 years of his condition on May 7, proclaiming his complete confidence in God’s sovereignty and goodness. In the past 72 years, historic Tenth Presbyterian Church has had two senior pastors, Donald Grey Barnhouse and James Montgomery Boice. Founded in 1828, the church itself predates their tenure by another hundred years. Tenth Presbyterian Church lies in the very heart of the city and today has about 1,200 members. James Montgomery Boice accepted the position as senior pastor in 1968, and was the teacher of the Bible Study Hour since 1969 and the more recent God’s Word Today broadcast as well. Dr. Boice held degrees from Harvard, Princeton Theological Seminary, and the University of Basel, Switzerland. He had written or contributed to nearly 50 books, including Foundations of the Christian Faith, Living by the Book, and exegetical commentaries on Genesis, Psalms, Acts, and Romans. He was no less involved in the preserving of the fundamentals of the faith than his predecessor, Dr. Barnhouse. In 1985, Boice assumed the presidency of Evangelical Ministries, Inc., the parent organization of the Bible Study Hour, Bible Study Seminars, Bible Studies magazine, and other teaching ministries. 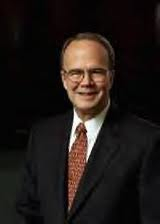 In 1997, Evangelical Ministries merged with Christians United for Reformation and the Alliance of Confessing Evangelicals, taking the latter as the new organization’s name, and Dr. Boice assumed the presidency. 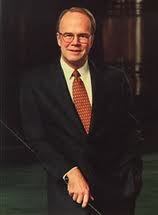 In 1997, he was a founding member of, and chaired, the International Council on Biblical Inerrancy. Dr. Boice is survived by his wife, Linda, and three daughters. Characteristic of his ministry was his pushing Christians to commit themselves to staying in one place. He lived what he preached, committing to the church and his downtown neighborhood for 30 years. A gifted pastor and leader, he turned down many attractive opportunities in order to build a sense of permanence and belonging. And he urged his parishioners to do the same.